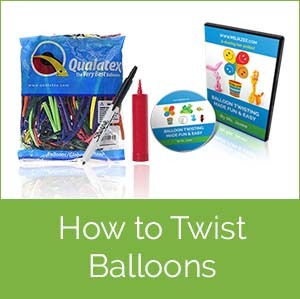 Engaging a Balloon Twisting Artist for an event will make your celebration one to be remembered. There is nothing like a spectacular balloon display to bring cheer into any room. Ms. Jazee has been bringing happy experiences and creating lasting memories to occasions of all kinds with her talent as a balloon twisting artist. Balloons make any space look automatically festive. Balloon “art” livens up the party even more! In addition to decorating, the true experience of a professional balloon twister is the fun, creative entertainment! 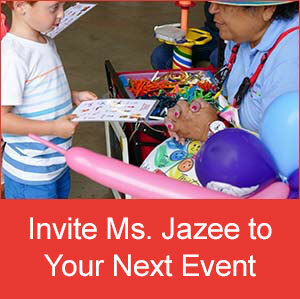 Ms. Jazee will come to your birthday party, anniversary celebration, church, school, corporate event or other celebration and “wow” your audiences by creating unique balloon masterpieces right before their very eyes! Be sure to look at Ms. Jazee’s balloon creations on the events/photos page to get ideas for what she can offer at your next corporate event or private party. 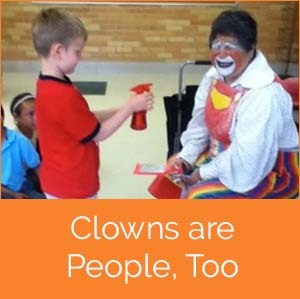 She can come dressed as a clown or come as herself. Either way, she will mesmerize your audience with her balloon twisting talents. Call today to make your next celebration memorable! © Copyright 2015 Miss Jazee · All rights reserved.